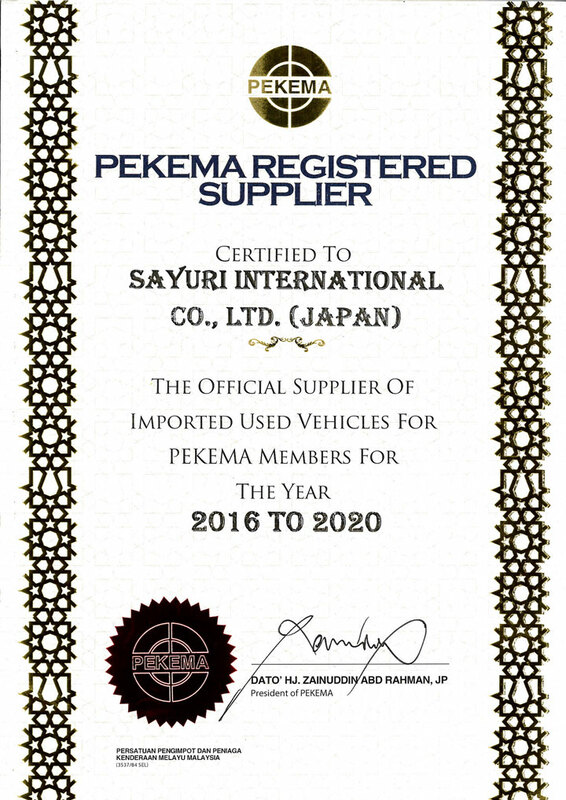 Sayuri has been a PEKEMA registered vehicle supplier for malaysia since 2016. 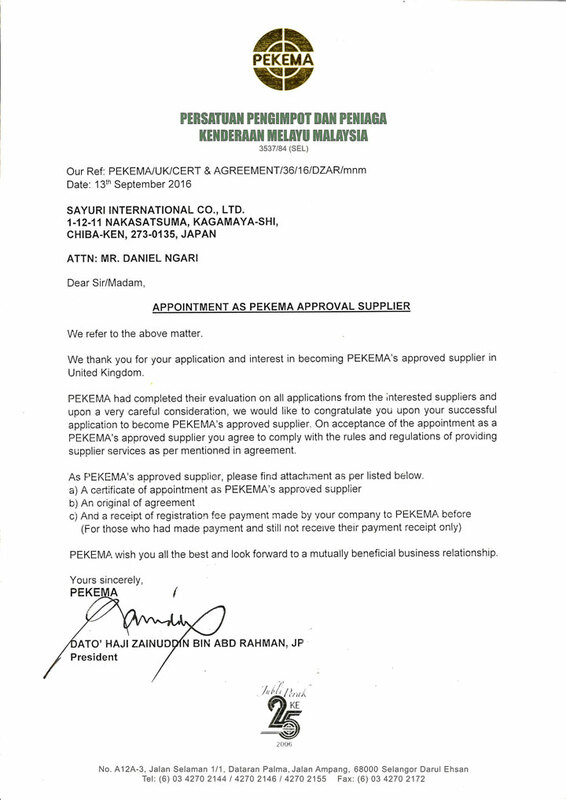 PEKEMA is the official organization which authorize foreign suppliers to export cars to Malaysia. And, we have received their authorization to export Japanese and european used cars to Malaysia upto 2020.